Shandon Hotel & Spa is verified as a service provider through the COMODO CA Limited Authority. Credit Card Security – The credit card details page of Shandon Hotel & Spa is protected by powerful Secure Sockets Layer (SSL) encryption technology. SSL encrypts your name, credit card number and expiry date before they travel over the Internet. This makes doing business over the Internet as secure as purchasing by telephone. Additionally, credit card usage is verified directly through a live secure connection with the banking system at time of debiting. Shandon Hotel & Spa uses a trusted 3rd party supplier Elavon payments to process your online payment. Elavon Payments will appear on your credit card statement. Please note that if you have booked a specific package that this package may have its own valid dates and is subject to availability. If the specific package you have booked is no longer available or if that particular package has expired, you will still be able to use the monetary value on your voucher from 12 months from date of issue. This voucher number corresponds with a plastic gift card which will be given to you when you arrive at hotel reception, this plastic card can be used anywhere in the resort. Gift vouchers cannot be exchanged for cash.  In the event of a refund for a service or product, this will be put on a gift card. Vouchers will be issued within 48 hours of receipt of payment, but please allow up to 7 working days for delivery by Post. The total value of your gift voucher purchase will be debited from your card at time of purchase. To purchase a voucher you must enter the details of a valid credit or charge card legally held by you. Card details will be validated prior to the transaction being confirmed and the Voucher(s) being issued. All successful online transactions are confirmed to the purchaser by email. Each purchase is given a unique transaction reference. Please use this reference if you need to communicate with the issuer regarding any purchase. Vouchers are valid for one year from the date of issue. Each voucher will have a monetary value of which it has been purchased. 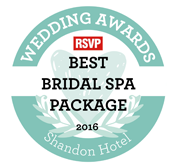 Shandon Hotel & Spa is not responsible for vouchers that are lost or mislaid. Vouchers are valid only when signed by an authorised signatory. The use of voucher(s) to purchase accommodation, meals or services is subject to availability. Supplements may apply at restricted times for example Bank Holidays and Special Events. Vouchers may be used for more than one transaction. Cash refunds are not permitted. A new voucher will be issued for any unused outstanding balance. Vouchers may not be redeemed for cash. Vouchers that have been altered or damaged in any way will not be accepted. Vouchers that have expired will not be accepted. The voucher purchase price is inclusive of VAT..
All vouchers purchased are non-transferable. Shandon Hotel & Spa is committed to preserving the privacy of all visitors to www.shandonhotel.com and our Shandon Hotel & Spa Facebook Page. Please read the following privacy statement to understand how we use and protect the information that you provide to us. When you visit, register or order products or services on our Websites you may be asked to provide certain information about yourself, such as your name, contact details and credit or debit card information. We may also collect information about your usage of our Websites as well as information about you (messages you post to our Websites and) e-mails or letters you send to us. We use your information to supply you with products or services ordered by you, to bill you and to contact you about an order or reservation. We also analyse information provided by you and others to help us administer, support, and improve our Hotel and to make your experience more enjoyable. We may use your information to contact you to tell you about important changes or developments to our Websites or our services, or to obtain your views on our services. Where you have agreed, we may use your information to let you know about other products, promotions and services which might be of interest to you. This contact may be by post, telephone, fax or e-mail. If you want to stop receiving information about other products and services, you can opt out at any time by contacting us. We may pass aggregate information on the usage of our site to third parties, but his will not include information that can be used to identify you. An IP address is a number that is assigned to your computer automatically when you use the internet. When you visit a particular web page in our Websites, our servers log your IP address. We may use your IP address to help diagnose problems with our server and to administer our Websites. Your IP address is also used to help identify you and to gather broad demographic information. You can also ask us to amend the information we hold about you to ensure that it is accurate and kept up to date. Please contact us to do so (insert contact details). Any changes to our privacy statement in the future will be posted to the website and where appropriate, through e-mail notification. While we do our best to minimise mistakes, sometimes mistakes happen. Shandon Hotel & Spa reserves the right to cancel contracts based upon incorrect information being displayed in relation to price or service. 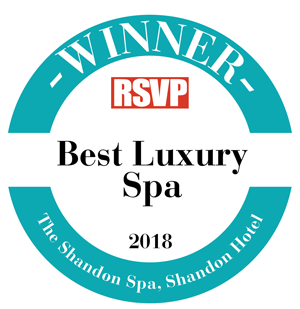 Our website is intended to provide information about Shandon Hotel & Spa to our guests and to assist our guests in determining the availability and booking of a reservation. Apart from printing information in connection with your travel, you are not entitled to reproduce, replicate, sell, resell or otherwise exploit the website listed above unless we provide you with prior written permission to do so. 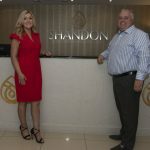 Use of shandonhotel.com and all Shandon Hotel & Spa branded websites is restricted to people over the age of 18 who can enter into binding contracts. 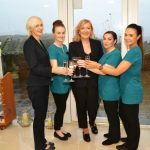 Links that feature on shandonhotel.com are links to other sites that we believe may be of interest to you. By providing these links we are not endorsing or recommending such sites or the services or material provided by them. We therefore accept no responsibility for the materials, services or other situations at or related to or from any other website. Queries and/or complaints must be notified to Shandon Hotel & Spa in writing within seven (7) days of the problem arising or seven (7) days of the problem arising whichever is the earlier. Shandon Hotel & Spa warrants that we will provide our services with due skill, care and diligence, and that any materials used will be sound and reasonably fit for the purpose for which they are required. Shandon Hotel & Spa shall have no other liability to its customers whether under these general terms and conditions or on any other basis including liability in tort as a result of the sale of our services.